"Elisabeth Fletcher daughter of Joshua and Sarah Fletcher born June 10^th 1698." 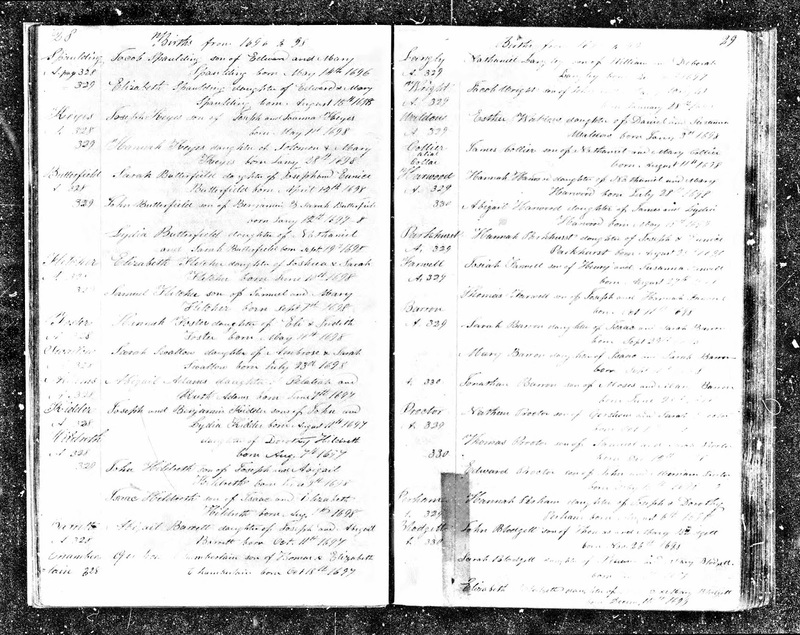 Massachusetts, Town and Vital Records, 1620-1988, digital images, Ancestry.com (http://www.ancestry.com), "Chelmsford Birth, Marriage and Deaths," Page 28 (Image 367 of 1719), Elizabeth Fletcher birth entry. 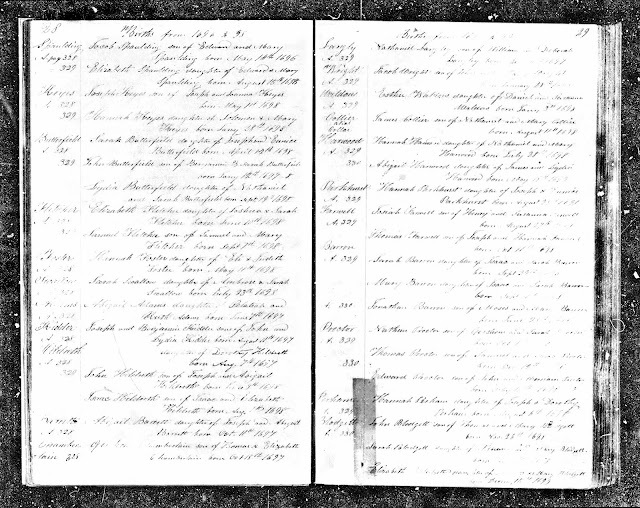 Elizabeth Fletcher (1698-1775) was the eighth and last child Joshua Fletcher (1644-1713) and Sarah Woolley (1650-????) of Chelmsford, Massachusetts. She married Joseph Keyes (1698-1744) in 1720 and they had five children, all born in Chelmsford. They are my 6th great-grandparents. I descend through their son Jonathan Keyes (1722-1781), who married Elizabeth Fletcher (1720-1761) in 1746.